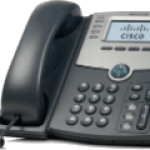 The range of Cisco phones for small business fall under the 300 and 500 series of VoIP phones. 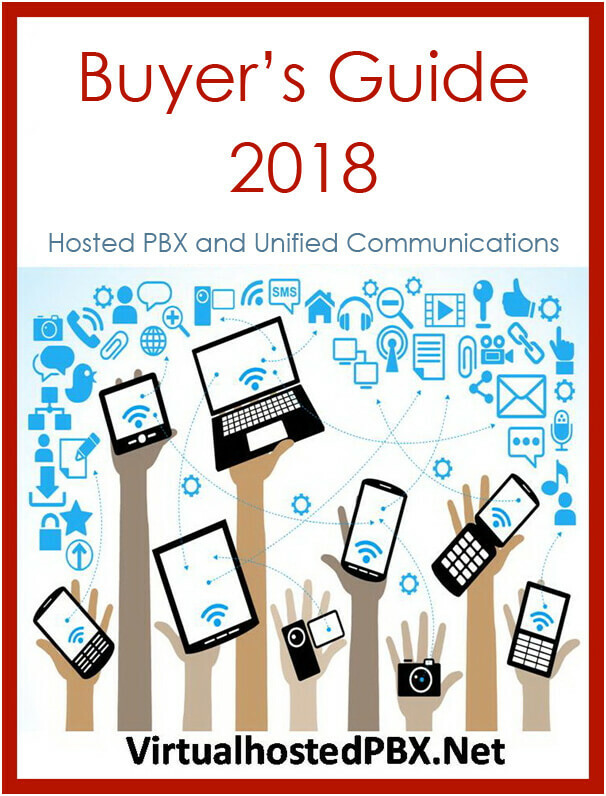 The Cisco SPA500 series is the most commonly offered by hosted IP PBX service providers so we have considered these phones below. The entry level Cisco IP phone is the single line SPA502G, which is designed for use in a small business office or for home use, however in larger businesses the phone is regularly deployed in a reception area or public foyer as it has all the basic functionality and features required for a guest phone. However, despite its lowly rank and ambitions the Cisco SPA502G has got many features that aren’t present in any competitors’ products of a comparable price range. 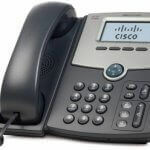 For example, the Cisco502G may have only one business line but it has dual Ethernet switched ports which means that you can connect a PC to the phone to save running an additional Ethernet cable, both the phone and the PC can share the single cable using a VLAN. Furthermore to reduce other cabling the phone supports PoE (power over Ethernet) so no additional power adapter is required to power the phone, it gets power from the Ethernet switch via the standard Ethernet cable. 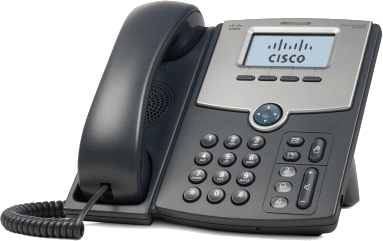 Another notable feature of the Cisco SPA502G is its very appealing design which makes Cisco phones in general popular in the workplace. Additionally, the phone supports all the required functions and features expected from an entry level phone such as conference calling for three parties, as well as act as both an intercom and a speakerphone. Importantly, in today’s workplace network security is an issue so the Cisco SPA 500 range comes equipped with inbuilt security protocols and quality of service techniques to ensure secure high quality and reliable telephony.